Sony did not launch a flagship smartphone this year yet, but the Japanese company is expected to do so in the coming months. One of the most important handset makers, Sony has decided that two flagship smartphones per year is too much, which is why beginning 2015 it will only launch one. The Xperia Z3 is the last and current flagship smartphone released by Sony and since it hit shelves last fall, it can hardly compete with the most recent flagship launched by other companies. 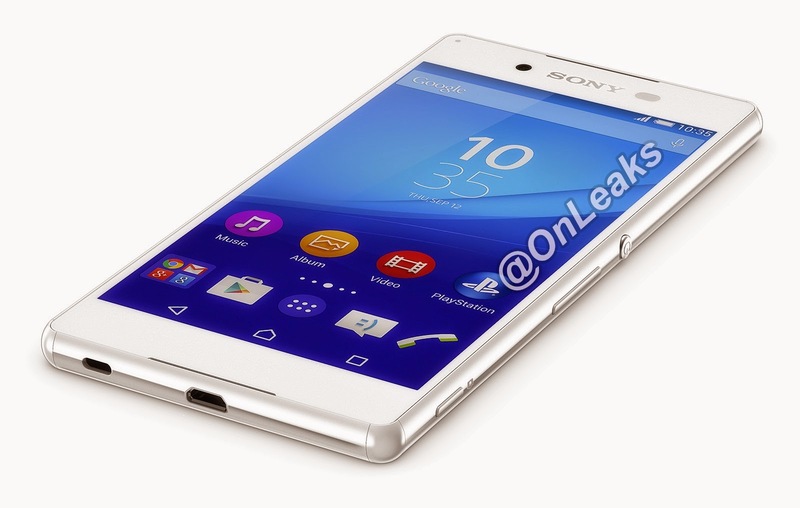 Nevertheless, Sony is already working on its next high-end smartphone, the Xperia Z4. The handset has been recently spotted in benchmarks, which gives us an idea on what Sony plans to bring on the market. 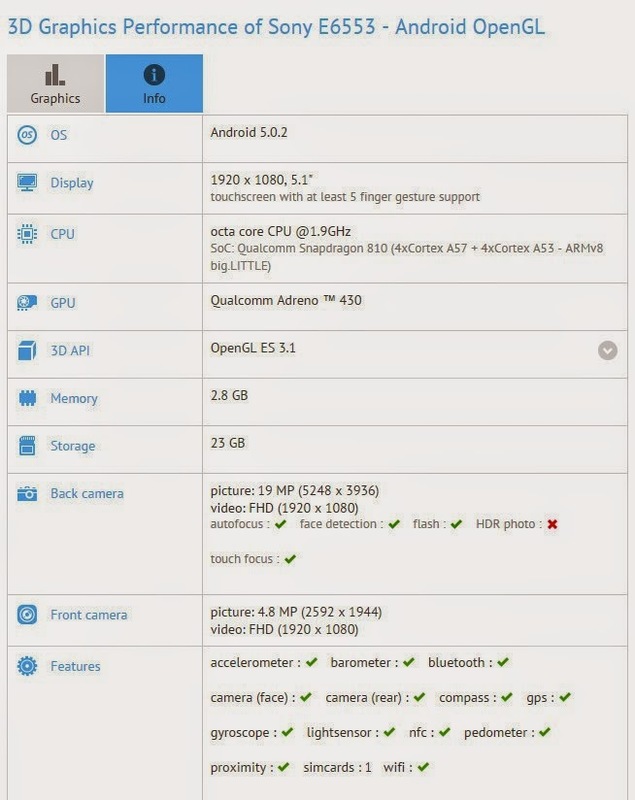 Having said that it doesn't plan to include Quad HD displays into its smartphones due to the high battery consumption, Sony Xperia Z4 appears in GFXBench with a 5.1-inch full HD (1080p) capacitive touchscreen display. As expected, the prototype benchmarked is equipped with a 64-bit octa-core Qualcomm Snapdragon 810 processor, an Adreno 430 graphics processing unit and 3GB of RAM. Also, the smartphone packs 32GB of internal memory, but there's no info on whether or not it will feature microSD card slot for memory expansion. We also don't know whether or not Sony will included another Qualcomm processor inside its flagship smartphone if the chipset maker launches a new one in the coming months. On the back, the Xperia Z4 will boast a 20-megapixel photo snapper with LED flash, autofocus and video recording, while in the front there will be a 5-megapixel camera for video calls and selfies. Codenamed Sony E6553, the Xperia Z4 tested in GFXBench runs Android 5.0.2 Lollipop operating system, but the final build may be released with a newer version. Sony Xperia Z4 is expected to be revealed later this year at IFA 2015, which will kick off in early September. However, the Japanese company hasn't confirmed a timeframe for the release of its next flagship smartphone yet, so take it with a grain of salt for the moment.